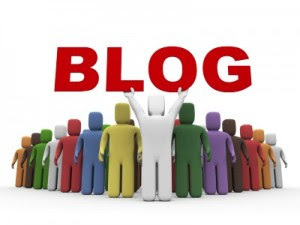 A selection of highlighted blog posts from Lean bloggers from the month of May, 2015. You can also view the previous monthly Lean Roundups here. A Deliberate & Calculated System of Improvement – Gregg Stocker lists a series of questions that comprise a system of improvement that makes the long-term objectives truly achievable. Lean’s Kiss Of Death – Bob Emiliani explains why confirmation bias is Lean’s kiss of death. Three Tips for More Effective Hansei (Reflection) – Jon Miller offers three concrete tips for more effective hansei. What Your Mom Can Teach You About Effective Supply Chain - Alexa Cheater shares five reasons why you should be asking your mom for more than just relationship advice. Skip the “Lean Intro” Training – Jamie Flinchbaugh says the training strategy means just as much as the training execution. Are There Any Hospitals That Should NOT Try Lean or Kaizen? – Mark Graban says there are organizations where Lean will probably not work. Top Leaders Must Go to the Gemba to Develop Leadership in their Middle-Managers – Jeffery Liker explains the difference in getting buy-in from Middle Managers and Top Executives for Lean. The Days of Show & Tell Are Over – Marci Reynolds shares some reasons why holding meetings with the purpose of sharing information is so important. Beyond A3s: Options for Shopfloor and Management Communication – Michael Baudin questions whether the objectives pursued with a paper format may not be easier to achieve with more recent technology. Using Dashboards to Develop Leaders – Gregg Stocker says dashboards are a perfect place to demonstrate to leaders how to fulfill the responsibilities of developing others, creating alignment, and driving improvement. The Importance of Working with Suppliers Over the Long Term – John Hunter says the organization is a system that includes the suppliers and customers and you need to manage and continually improve that entire system. Is Your Lean Journey Being Embraced With “Open Arms?” Are you Practicing Lean “Faithfully?” – Mark Graban discusses Lean in comparison to the band Journey’s songs. Removing Confirmation Bias Against Lean – Bob Emiliani explains how to remove confirmation bias against Lean. Target, Actual, Please Explain – Pascal Dennis explains the importance of the team leader to explain ahead or behind during management Gemba walk. To Bring on Board: Go to the Gemba to Engage, Frame and Give the Right Incentives! – Michael Balle says there are no magic bullets in terms of getting people on board but there are 3 tools you can use to get them to understand. 10 Key Lean Mindsets for Factories, Hospitals, Startups, and More – Mark Graban defines 10 Lean mindsets that matter in respect for people. What’s Your Dispassion? – Jon Miller explains what we should be dispassionate about, when pursuing a lean management system.